It is for a good reason that Rekha Sudarsan is aptly and fondly christened as ‘Captain’ of team Dream Runners. One of the first founding members back in 2008, she continues to be the foremost flag bearer of the team through thick and thin. A well-known healthcare professional with a busy travel schedule, a homemaker, author of articles on healthcare and a book on pregnancy, an individual having varied interests – she wears all the hats with great aplomb and success. Her passion for running is unmatched and infectious. Whether it be an early morning flight to catch or a late night arrival, be sure that she will turn up for training without a flinch. 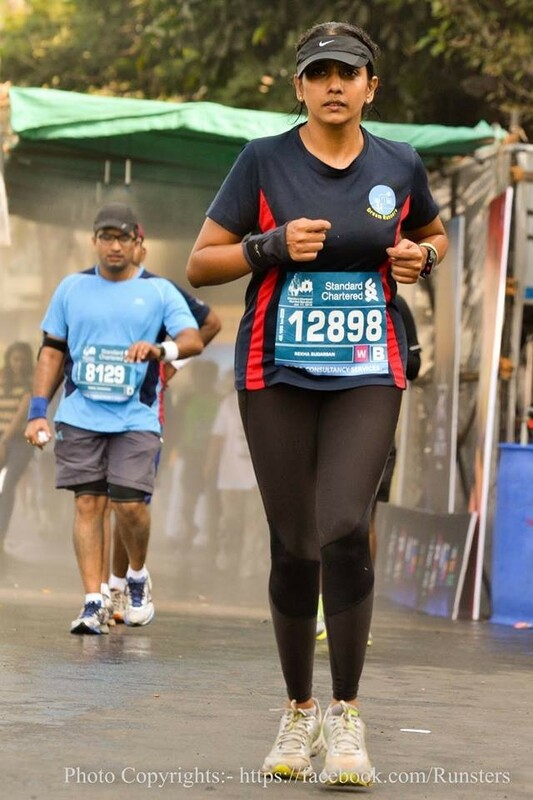 A veteran of many marathons, her best is a 2:04 of a half at the Cool Runners 2015 and a 4:46 for the full at SCMM Mumbai. More recently, she has had multiple podium fishes to her credit in 10K races, where she can regularly clock sub 1 hour times. But what defines her are sheer grit, determination and spirit to complete a race even when the going is not good. Completing the race at the SCMM 2016 in a time of 5:23, after a near blackout at 23 km stands testimony to that. A firm believer in a holistic approach towards health, she continuously strives to promote fitness and lifestyle to one and all by conducting workshops at corporate companies and other forum apart from appearing on various electronic and print media from time to time to put forth her learnings and ideas.